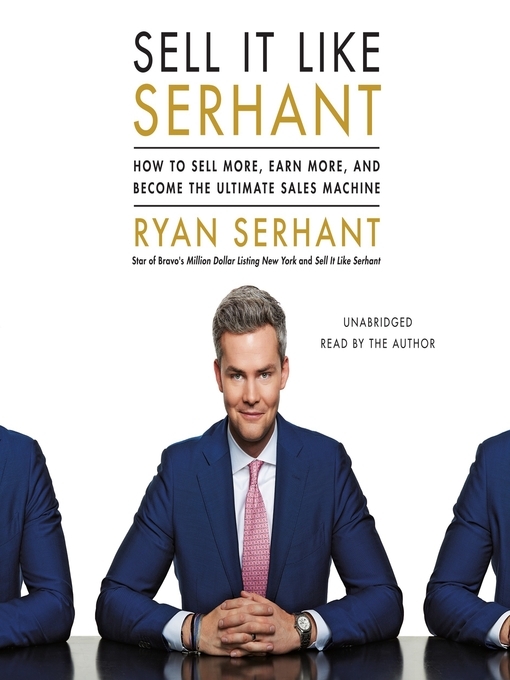 Ryan Serhant is the very confident guy who wears stellar suits, has a driver, and regularly closes seven-figure deals on Bravo's hit series Million Dollar Listing: New York. On his reality show Sell It Like Serhant, he uses his sales expertise to teach struggling salespeople to successfully sell everything from golf balls to hot tubs. In this book is the blueprint for how to go from sales scrub to sales machine. Serhant was a jobless hand model when he entered real estate. He outlines exactly how he flipped the switch and grew to dominate one of the most competitive sales markets in the world. Using personal accounts and lessons from his biggest (and smallest) deals, he gives fresh insight on how to manage multiple balls, or goals, at once to increase profits and achieve ultimate success. A salesman should not live or die by one deal or client. The ultimate salesperson never closes a deal and wonders, "What now?" because the next deal should already be happening. The Serhant principle is that it takes just as much time and energy to manage one deal as it does six. This book will help you learn how to bring in, control, and manage multiple balls successfully. A true salesperson knows it's a volume business. By juggling all your balls in the air at once and staying clearheaded in the clutter, you're better able to keep your eye on the ball and sell more. Ready, set, go.